Inside an automatic mechanical movement | Redux & Co. Inside your mechanical watch is a fine-tuned machine called the SII-NH35A made by Seiko. 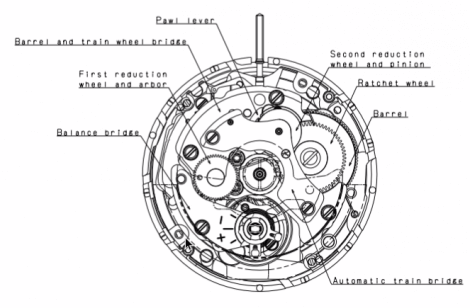 Want to take a peek inside an automatic movement? Check this out. 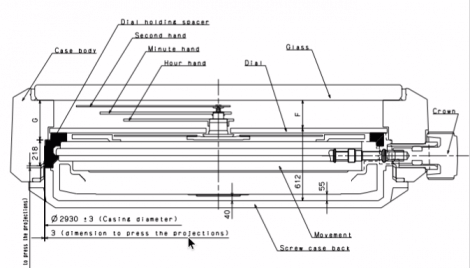 You also need to see this sweet interactive tear down of a mechanical movement over at Hodinkee that explains the critical gears and parts. The mechanism that makes a movement an automatic is an asymmetrically-weighted rotor that spins the center wheel on ball bearings as you move.